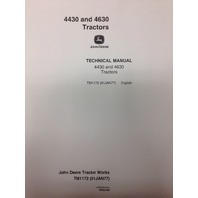 You are bidding on a LIKE NEW John Deere 4430 4630 Tractor Repair Service Techincal Manual. 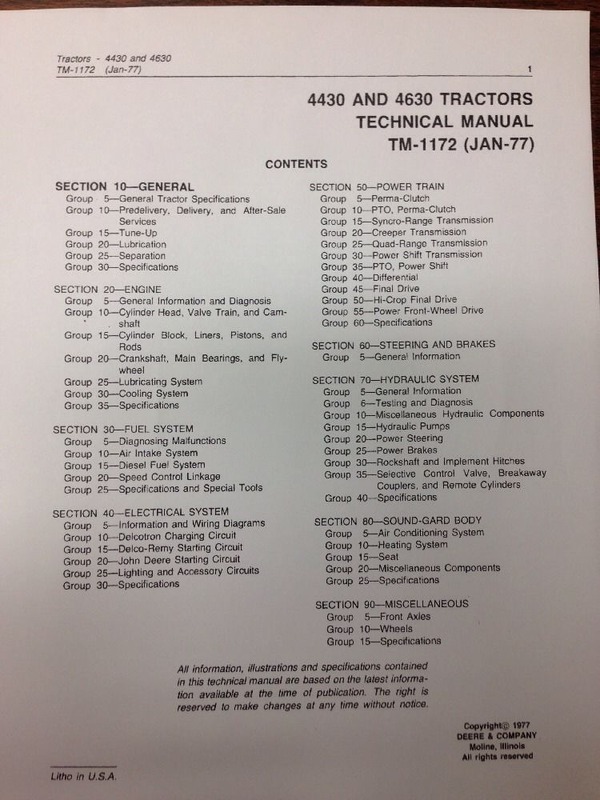 Publication #: TM1172. Book is over 1030 pages. Like new condition. This version is on 8 1/2" x 11" pages. 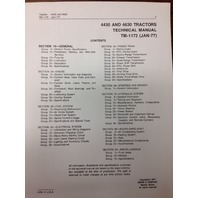 TABLE OF CONTENTS INCLUDE: Engine repair, Fuel and Air repair, electrical repair, Power train repair (including Perma Clutch), Steering and brakes, Hydraulic repair, operator station repair and more. 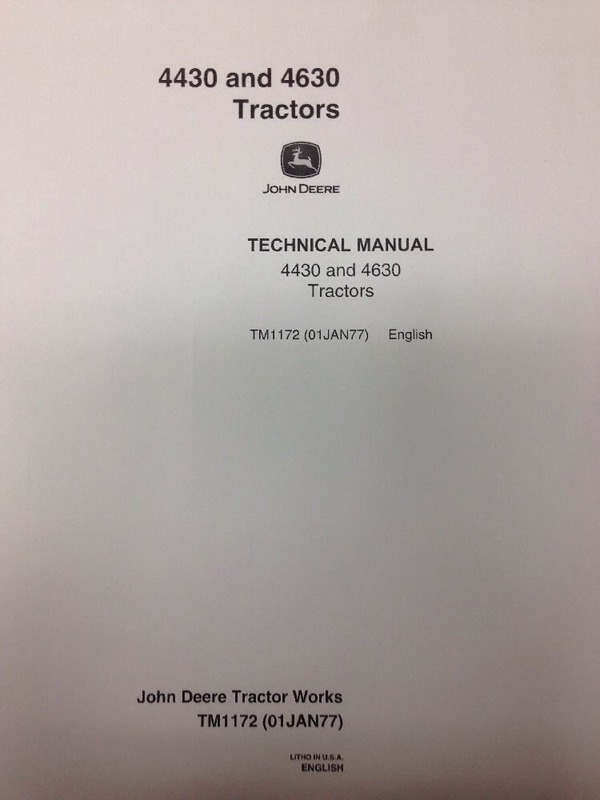 A really good manual for anyone buying a machine or servicing a 4430 or 4630 Farm Tractor. Other books for the machine also available. If you don't see, please contact us.